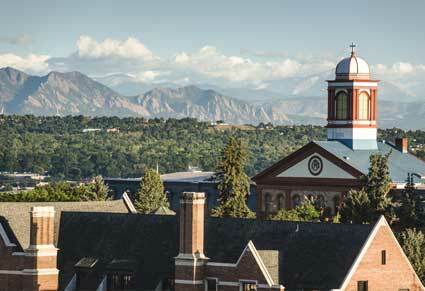 Located in west Denver near the popular Highlands neighborhood, the Regis University campus is an ideal place to hold camp. It’s spacious and air conditioned meeting rooms accommodate us nicely, and we are able to use lots of grassy areas for our campers to learn and play. It is a very insulated environment with little traffic, especially during the summer months. This neighborhood of Denver boasts lots of fun restaurants, coffee shops, and shopping. It is just 1⁄2 hour to 45 minutes from the airport, and only about 15 minutes from downtown Denver, Coors Field, museums, and sightseeing. It is also just 90 minutes from the Colorado Rocky Mountains! We have reserved rooms at the Westminster Residence Inn by Marriott for these camps. The room rates are $145 per night and include breakfast. To see more information about the hotel location and amenities, please go to their web site. Please do NOT reserve your room until after you register for camp and receive the email with the link to our room block and group rate. We have reserved rooms at the Springfield Suites Westminster for this camp. The room rates are $125 per night and include breakfast. To see more information about the hotel location and amenities, please go to their web site. Please do NOT reserve your room until after you register for camp and receive the email with the link to our room block and group rate.